Hardened glue residue, won't come off! 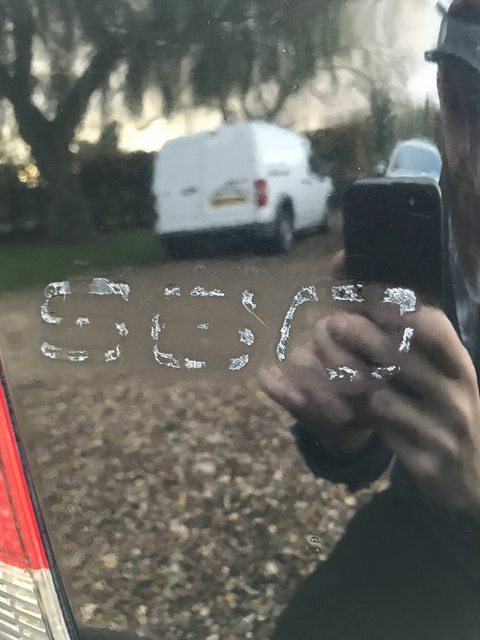 Hi guys, recently took the badges off my S60 D5 and there was glue residue left behind. Went to hit it with some AG tar and glue remover but as soon as I went to rub it I realised the glue residue was rock hard! I tried claying (for sake of trying it really) which just tore up the clay, tried lots and lots of AG tar and glue remover and rubbing with a MF. I then got really mad and I used some rag soaked in petrol, leaving it on to penetrate etc and it has made a marginal improvement. I even tried picking it with my fingernail and it did more damage to me than me to it. It's quite raised as well and I believe it would ruin any polishing pads I put near it. Any help would be much appreciated guys! Have you got any wet/dry paper in your arsenal? Could try flattening it down? What about a stanley blade held flat to take the worst of it off the try tar remover or petrol. Take it you have tried gentle heat when removing the badges..? Not the warmest time of year for debadging so wonder if the colder weather has a bearing? Try and get your hands on some Autosmart Tardis. Soak a make-up pad with it, and leave on the residue. It may take some time to take effect, just keep checking it. In any case, go gently. You don't want to damage your boot lid and have to get it painted. I hope you get sorted. The normal method of removing badges is to heat them up which softens the glue and then slice them off with a piece of fishing line. The remaining glue residue can then be removed with a microfibre while still warm before a final polish. Be aware that you do have to get it quite hot, which is not great for cold paint, so slow and steady. And take care, as Larry demonstrates by burning his hand on the badge when he takes it off! Get yourself an "Eraser Wheel" 3M (other brands available).... An electric drill to attach it to. Once you've heated the residue up with a heat gun....... Hit it with the eraser wheel. My go to for this and the adhesive used on wheel weights is Koch Chemie's Eulex M. Excellent removal properties without too much friction and marring. Another vote for heating, the easy way to remove that. Heat it well. If it doesn't work try a denibber perhaps? All times are GMT +1. The time now is 03:39 AM.